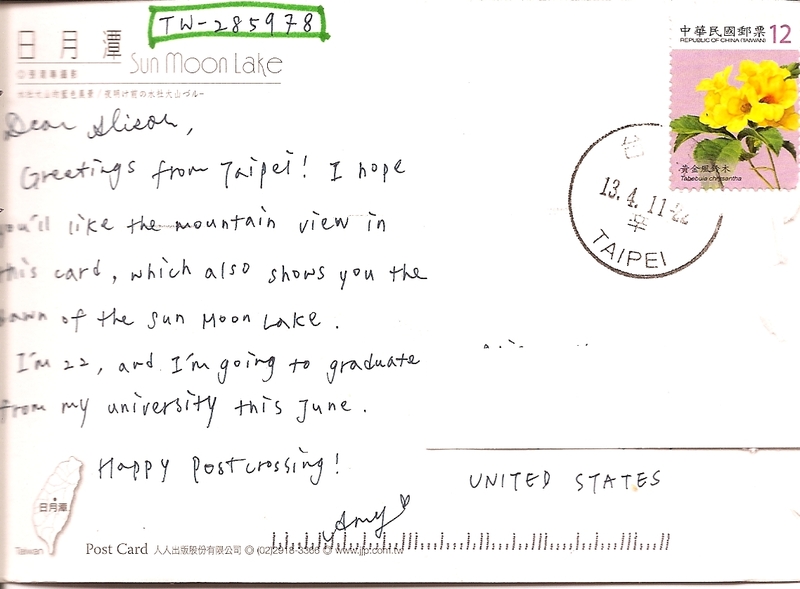 I will feature a postcard from Rotterdam, the Netherlands, and from Sun Moon Lake in Taiwan. 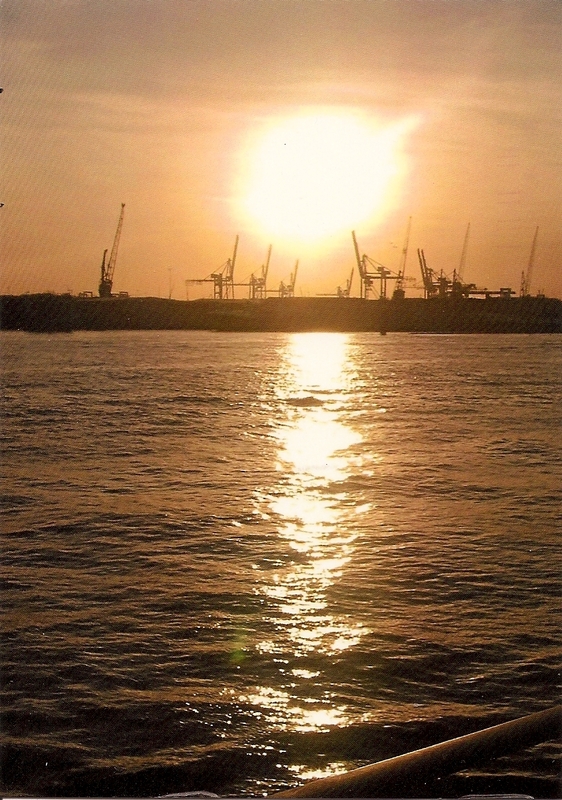 The first postcard is of a sunset behind the harbor of Rotterdam. 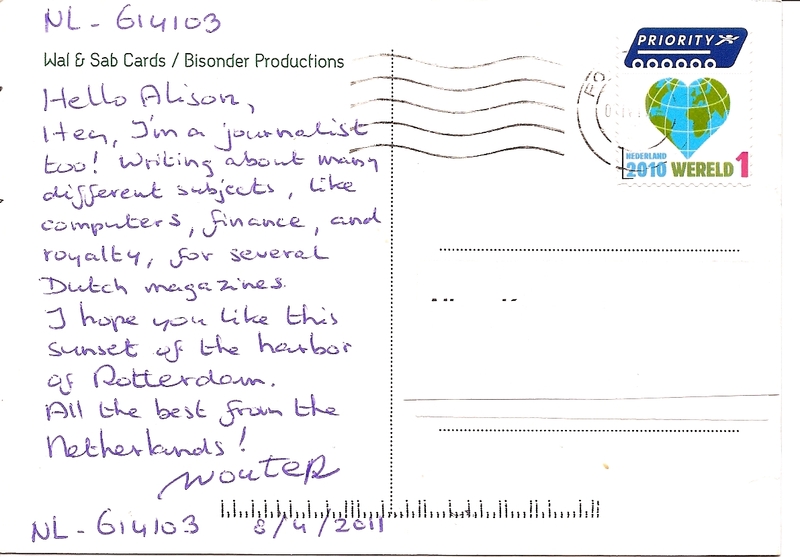 The man who sent me the postcard also happens to be a freelancer for several Dutch magazines. 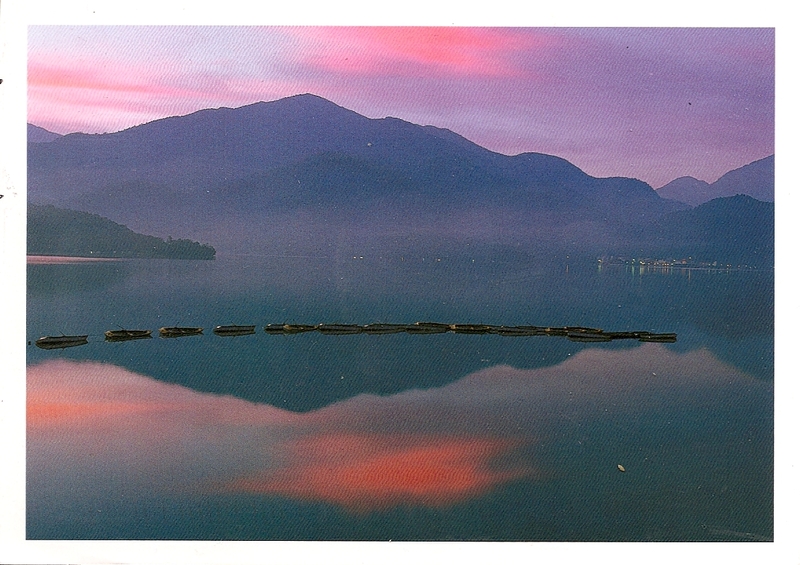 The Taiwanese card shows the mountains and Sun Moon Lake at dawn. The setting is quite beautiful and I like the arc of boats in the water. I also like the stamp with a yellow flower. It’s a tabebuia chrysantha, which is native to South America. I wonder why it is on the Taiwanese stamp. This entry was posted in Asia, Europe, Postcards, South America and tagged Flowers, Mountains, postcards, postcrossing, Sunset, Taiwan, The Netherlands, Travel, Water. Bookmark the permalink.